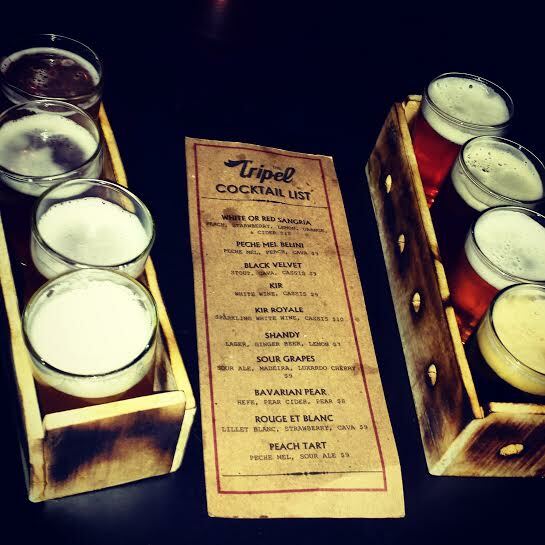 I went to grab some fine food and libations at The Tripel in Playa Del Rey tonight. Heard about the place through the grapevine. It is a one room gastropub, that was pretty packed for a Tuesday night. We tried a beer sampler, all of which was very crisp and light since we got the East Coast Belgian flight. They have an alternating selection of at least 40 beers on tap all the time. The ambience was relaxing, and the service was fast. 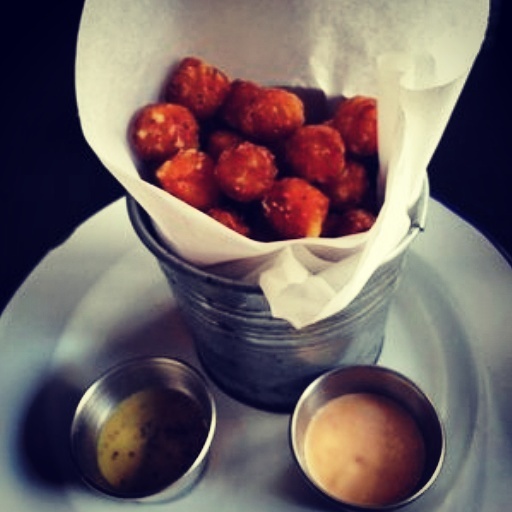 I tried the cauliflower tomato soup, and since the waitress told us their number one seller was the sweet potato tots and dijon aioli, we had to try those as well (maybe so hyped up they didn’t blow my mind). 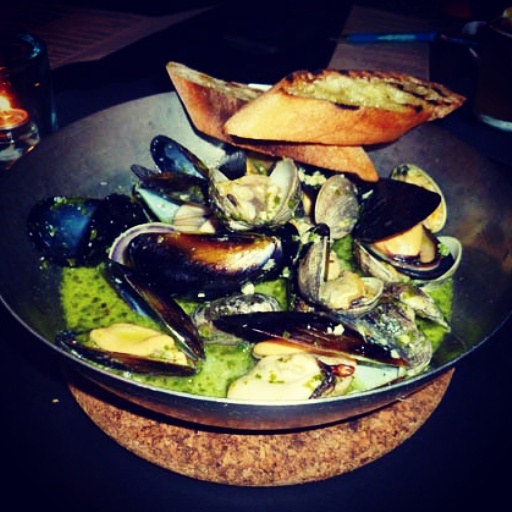 We ordered the clams and mussels in pesto sauce which were delicious. My soup was so creamy, but almost TOO heavy. The gruyere toast that came with it must have been soaked in oil, on top of the melted cheese. If I had known this I would have kept away from the tots! 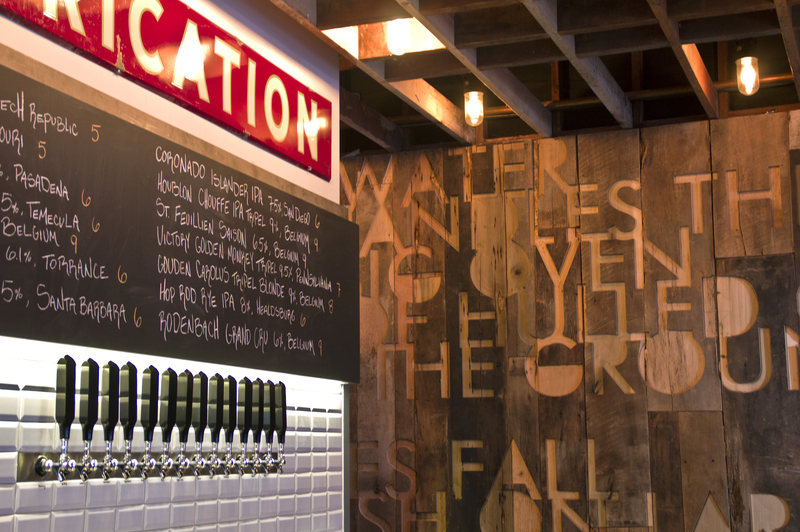 Overall, the tavern pub vibes, guilt ridden food, and wide beer selection provided for a good escape from LA. If you are looking to find some extreme munchies that you might regret later, head to The Tripel. Let’s be honest, we all need a meal like that once in a while. You can start that diet tomorrow.